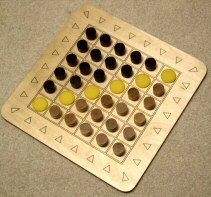 Christopher's deluxe checkers play Hmm..., where your disks slide from edge to interior and seek to get 4 in a row. 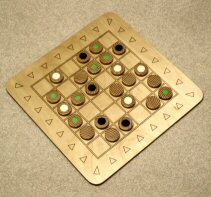 For Reveal, checkers start face down and reveal whose they are, one by one. When only your color remains, you win. 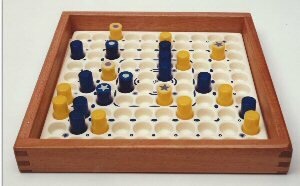 Leap includes five jumping and number games and four categories of solitaires, including knights' moves, magic squares and Wade Philpott's "Leap Solitaire," cited in Oxford University Press' The Ins and Outs of Peg Solitaire. 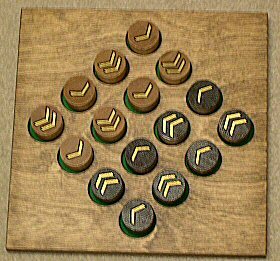 Stephen Sniderman's Take a Number includes 25 strategy games, 25 mazes, 25 magic squares, and 25 number gamesall in honor of Kadon's 25th anniversary in 2005. 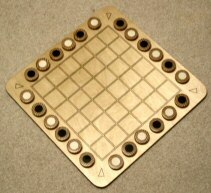 The sculpted 4x4 grid serves for five progressively more complex game themes. Wood pieces have engraved single or double arrows. 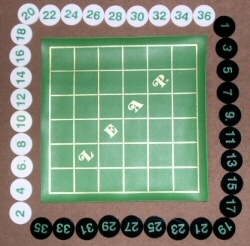 They point, respectively, one or two spaces away, thereby directing the opponent's moves or blocking spaces. 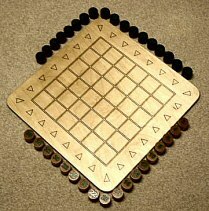 The two kinds of solitaires involve knight's moves or arrow tours. 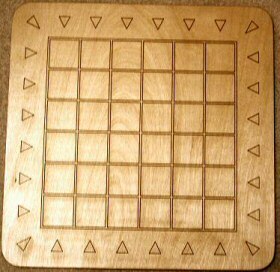 Michael's fine sense of design turned the grid diagonal on the board for distinctive visual appeal. 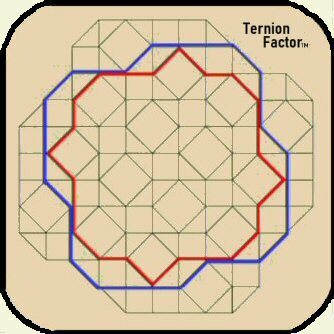 Pieces reverse to blank checkers and may be used as "nulls". Of enduring play value for 1 or 2 players, ages 8 to adult. 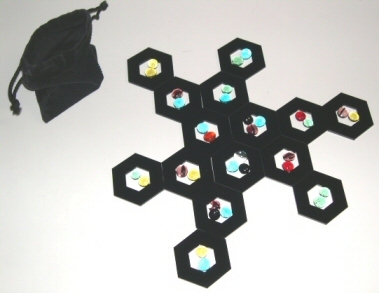 Also available in "softpack" style with black vinyl game mat. With a fascinating historical overview of games. A Games 100 selection, 1985. 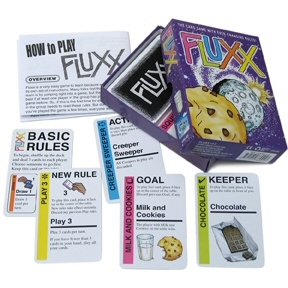 Fluxx is a registered trademark of Looney Laboratories.